Mothers asking for justice for their detained sons today in Maiduguri, Borno State. WALID turned seven last January. He is my grandson. He was in his mother’s womb when soldiers snatched his dad away from us, more than seven years ago. I have not yet had the courage to tell him what happened to his father. It’s hard for any grandmother to explain to their seven-year-old grandchild, the absence or disappearance of that child’s parent. Whether it’s their mom or dad. But when the disappearance was caused by soldiers that are meant to protect them, the explanation becomes even more complicated. So for over seven (7) gruelling years, I have not been able to tell my grandson where his father is and why he could not see his daddy. My youngest son, Mustapha Saina, was arrested on 10 October 2011 at the mosque in Maiduguri, northeast Nigeria. He was 25 years old at the time. He was my breadwinner and supported me and his sisters. Prior to his arrest, he was a businessman. He was happily married. In fact, his wife was six months pregnant with their first child. On that day, soldiers came to the mosque just after morning prayers and selected 35 young men. My son was among them. His wife heard about it and rushed to the mosque. When she asked the soldiers why they had arrested him, they slapped her in her face, even though she was six months pregnant. A week later, I saw him there in Giwa Barracks. He asked me to get him out of that place. The army promised they would release him as soon as they had finished their investigation. I got a lawyer and we applied for bail. Nothing happened. Soldiers told me to bring money and promised they would release him. First I paid N250,000. A soldier said they would take him to Damaturu and I could collect him there. But it never materialised. Then they asked for another N50,000 to trace his records. Next they said they would put him inside the ambulance with the corpses and I could collect him at the mortuary. What a terrible thing to suggest to a mother who fears for her son’s life! But of course, I paid N200,000 hoping I would see him, alive, in the mortuary. But again, it never happened. Like every mother, I would do anything to rescue my son. So I sold my possessions to pay them. I paid them so much. It took me long to realise that they were just thieves, who were only interested in money. Over the years, I learned there were so many other mothers who, like me, had lost their sons to the military. Almost all of the men and boys were arrested between 2010 and 2015, and no one has ever heard what happened to them. And like my grandson, there are thousands of other children who grow up without their fathers. Not all are as lucky as my grandson who goes to school. Many beg on the streets and grow up without any formal education. There is a whole generation of fatherless kids roaming the streets of Maiduguri and other major towns and cities affected by the Boko Haram insurgency. Many of these children are innocent victims of the deeply flawed counter-insurgency approach adopted by the Nigerian government. Seeing these kids fills my heart with a combination of fear and sorrow. I fear that kids like my grandson will grow up realising what the Nigerian military has done to his father and think of revenge. I feel sorry for the hundreds of mothers like me who keep waiting for the slow wheels of justice to turn in our direction, but who, deep down, know that we may never see our sons alive again. As if 10 October 2011 was not sad enough for people like me, then came 14 March 2014. On that fateful 14 March 2014, many families in Maiduguri finally got an opportunity to reunite with their missing sons. Boko Haram had attacked Giwa Barracks and told the detainees to either join them or leave. Hundreds of emaciated detainees came out of the detention centre, looking for safety in their family homes or wherever they could seek refuge. People gave them food and clothes and tried to hide some of the young men and boys who have escaped. But the military and CJTF started a hunt for them and one by one they were recaptured and taken away to the outskirts of Maiduguri. Almost all those who were recaptured by the army and the CJTF were executed. That day, soldiers killed hundreds of men and boys in broad daylight, some in the full view of onlookers and bystanders. While the soldiers and CJTF were searching for escaped detainees to re-arrest and kill, we mothers were also simply looking for our sons, dead or alive. I looked everywhere and asked anyone who would listen, but I did not find my son. In many cases, the soldiers and CJTF found our sons and took them away before we could have the chance to see them. Those mothers who managed to see their dead sons were not allowed to bury the corpses. The soldiers took them away and buried them in mass graves. Personally, it’s been extremely hard. But in all these years, I have not lost hope. I still hope he’s alive. I continue to wait for his release. My hope is fuelled by the fact that none of the other released detainees has mentioned that he died in detention or was killed on 14 March. So, I believe he is still somewhere in detention. Last year, I received an anonymous call from a man, who asked if my boy had been in detention. I said yes, and he confirmed that he had been detained in the same cell with him for three years. He said my son asked him to tell me that he was still alive. But before I could get any details, he ended the call and I have not been able to reach him again. I have come to realise that the military doesn’t want us mothers to mourn for our sons. They don’t want to tell us what happened to our sons in detention. They don’t want to tell mothers whose sons have been killed, where they are buried. And they don’t want to take any responsibility for the death of thousands of young men in their detention facilities. They just want to move on, as if nothing happened. As if lives have not been wasted and destroyed, as if our sons never existed. But as mothers, we have not forgotten, and we have not given up. That is why hundreds of mothers like me have decided to inform the world about our ordeals and our ongoing fight for justice in Nigeria. We have decided to fight and demand justice, not necessarily for ourselves, but for our children and grandchildren. I want to be able to look my grandson in the eyes and either tell him that his dad is dead or that his dad is in military custody. 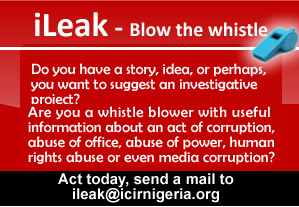 We believe strongly that information is power, and that truth is fundamental to justice. So, we have formed a group of mothers of the missing men. Even if our sons are dead, we have the right to know it. Today, I am using my voice as the loudspeaker to call for justice for the thousands of young men that have been arrested since 2010. The vast majority had nothing to do with the insurgency but were arrested in mass arrests and without any due process. All of them were presumed guilty from the moment of arrest and were never given the opportunity to prove otherwise in a competent court of justice. So on this day, we have come together to stand in solidarity with the thousands of children whose fathers never returned from military detention. We have come together as mothers to demand information about the whereabouts of our sons. We have come together to let the world know that we want closure. The Nigerian army must come clean about what has happened in the fight against Boko Haram. They must come clean on what has been happening inside the cells of Giwa barracks and they must come clean on what they did on March 14, 2014. Finally, while we remain hopeful for our sons, we would like to call on President Buhari to intervene. As Commander-in-chief, he should instruct the army to release the names of all detainees arrested since 2010. And as a dad himself, we would like him to make sure that the orphans of this conflict know the truth about what has happened to their dads. But importantly, we call on him to ensure that all children, like my seven-year-old grandson whose fathers never returned from military detention, get an education, a safe home and care.